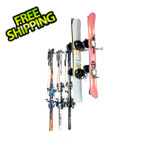 The Snowboard Rack by Monkey Bars allows you to get 6 snowboards off the ground and hung up on the wall. 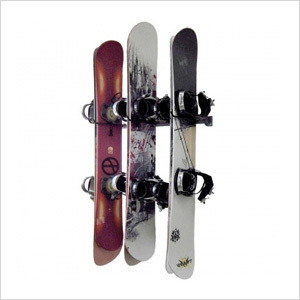 Snowboards can be awkward to store and that is why we have come up with the only way to store your boards securely on the wall. 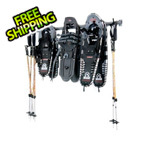 Mount this snowboard rack in the garage, closet, tack room, bedroom or the cabin and it takes only takes 15 minutes to install.